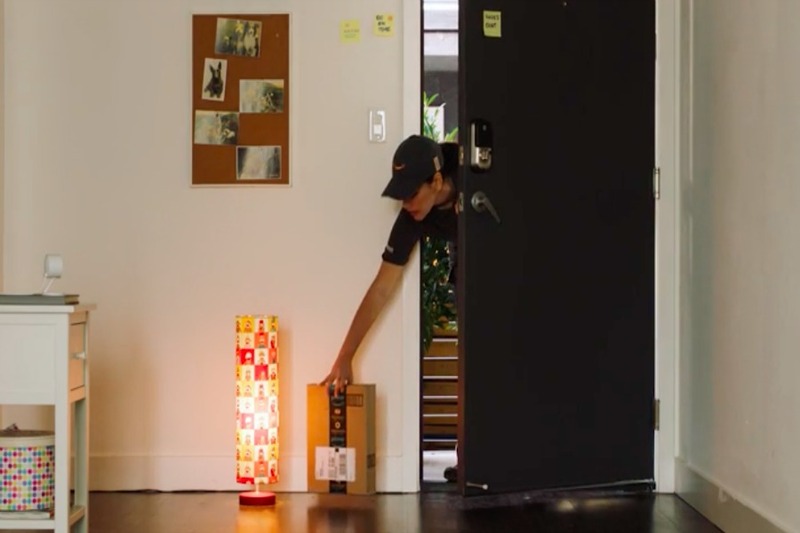 If you’re not home to get your packages, Amazon can help with that, thanks to their new Amazon Key service where your courier will leave them right inside your front door. No, we’re not kidding. The service hinges on your purchase (and installation) of a compatible smart lock and the Amazon Cloud Cam, which will run you around $249.99 for the combo. When a courier comes to deliver a package, they swipe a barcode, which alerts the camera to start recording. If everything checks out, the courier gets a notification, allowing him or her unlock the smart lock, and enter your home. Related: 3 home security systems to help keep your family safer. That’s a pretty simplistic breakdown of what actually will happen, or at least, what Amazon is telling us will happen. There are all sorts of notifications you’ll receive when the delivery is scheduled and when the van shows up at your house. Plus, you can watch the whole entire process, via that handy Amazon Cloud Cam. And, it’s not just any FedEx or UPS delivery person (no offense to either of those lovely people). For now, it’s Amazon couriers, available to deliver in 37 cities with more, most likely, rolling out soon, along with service providers added to the list, versus just product delivery right now. So, do you really need the have the packages put inside your door? Isn’t just dropping them on your porch enough? Well, if you want the extra convenience, which for many people could mean actually getting their packages and not having them swiped (yes, it happens a lot. More than you might think), this might be something to consider. And the smart lock and camera combo are useful for other things too, whether you need to let your tween in after school and keep an eye on what she’s up to, or the pet sitter who’s taking care of your cat while you’re on vacation. But then again, the potential security risk, not to mention all the cameras you have around your home, are worth a double take. Though, if the couriers came in and did the dishes and laundry, we might just be the first in line.